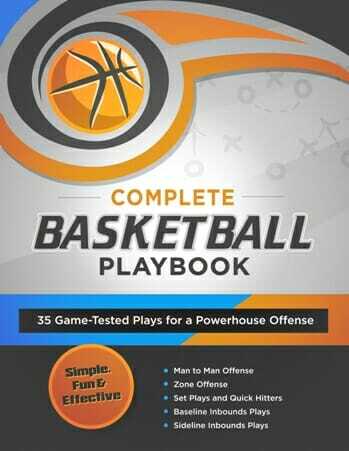 Each of the drills below is designed to help your players improve their technical AND tactical basketball skills. From learning how to combine primary and secondary moves off the dribble, to reading defenses and taking advantage of openings, to using cuts and screens to create shots inside your half court offense. 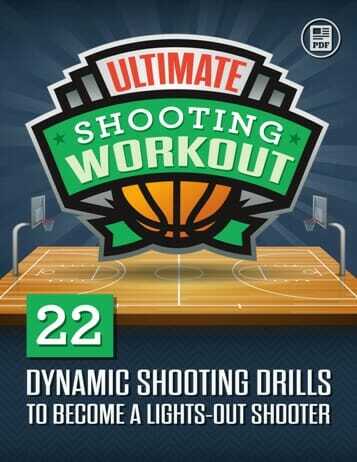 These drills can be performed as part of individual player workouts, small group workouts, or full team practices. 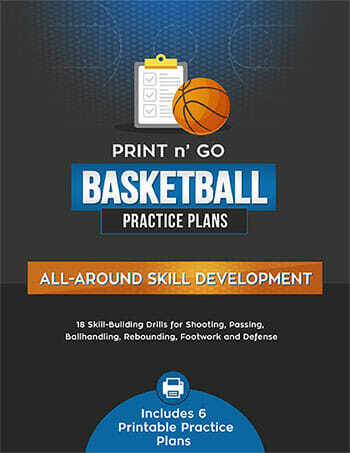 If you’re ready to take it up a notch, don’t miss our best-selling Perimeter Skills Drillbook – packed with 21 fun and effective drills for shooting, passing, and ballhandling. Or, if you’re looking to improve your inside scoring and rebounding, check out Post Skill Development. Here are some additional pointers to help you get the most out of these basketball training drills. Release your shot on the way up, just before the top of your jump. Use your legs to generate power. You should land in the same spot that you jumped, which shows good balance. Always follow your shot and continue until you put it in the basket. A pump fake should look just like a real shot – everything except for the actual release of the ball. When practicing your primary off-the-dribble moves, create separation from the defender by changing direction and speed. Try to lull them into a false sense of security by slowing down for a split second, then exploding into your dribble move. When done correctly, the defender will raise up slightly out of his defensive stance, making it easier to get past him.